MC5 only released three albums, but they were ferocious, adventurous, and confrontational enough to secure the group’s place as one of the greatest rock ’n’ roll bands ever. Singer Rob Tyner, guitarists Wayne Kramer and Fred “Sonic” Smith, bassist Michael Davis, and drummer Dennis Thompson came together as the MC5 in 1965. The band performed for several years before making its first record. This year is the 50th anniversary of the recording of the band’s incendiary debut, Kick Out The Jams, which was recorded live over two nights at Detroit’s Grande Ballroom in October 1968. 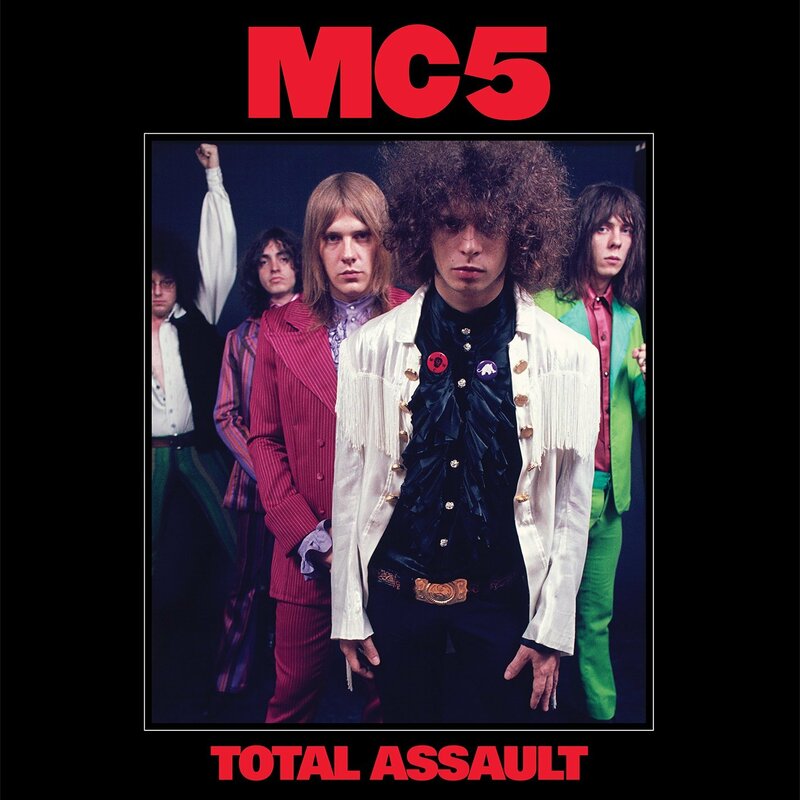 To celebrate, MC5 release Total Assault: 50th Anniversary Collection, a limited-edition boxed set that features all three of the band’s albums pressed on coloured vinyl. It includes Kick Out The Jams (red vinyl), Back In The USA (white vinyl) and High Time (blue vinyl). The albums come in sleeves that faithfully re-create the original releases, including gatefolds for Kick Out The Jams and High Times. All three are housed in a hard slipcase with new art and previously unseen photographs by world renowned photographer Raeanne Rubenstein. The music on Total Assault shows why the MC5 is held is such high regard today with indelible tracks like Kick Out The Jams, Human Being Lawnmower and Sister Anne. MC5 co-founder and guitarist Wayne Kramer will release his memoir The Hard Stuff: Dope, Crime, the MC5, and My Life of Impossibilities on August 14th before hitting the road with a new all-star line-up of MC5 called MC50. The group will perform Kick Out The Jams in its entirety, along with other MC5 classics.